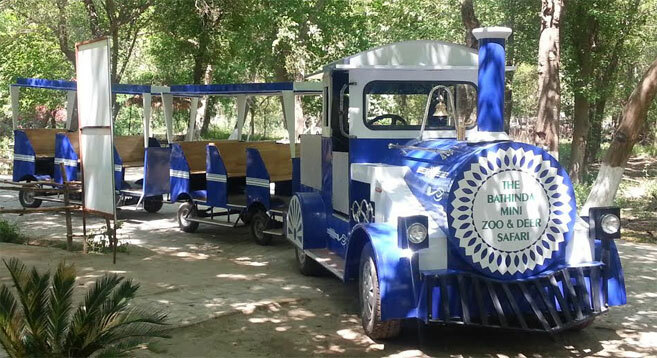 We manufacture Battery Operated Trackless Trains designed for fun! We are proud to present our exclusive range of custom designed battery operated trackless trains that can be used both indoors and outdoors. With custom coaches and a host of added features and accessories, we make our electric trains specific to your requirements. Our goal is to not just provide you a durable vehicle that lasts long hours without tiring – but also to inspire smiles on all those who ride it. We are always looking to work on exciting and creative projects – so feel free to ask how we can customize your own battery operated train! Children love to ride in our toy trains, and as do adults. 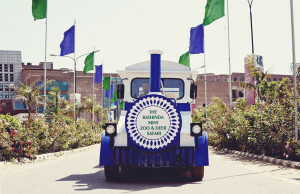 We offer custom electric trains for zoos, parks, amusement parks, tourist trains – all of which can prove to be excellent revenue generating sources. We also offer to integrate advertising solutions, giving you the ability to get more revenue and the sponsors more visibility. 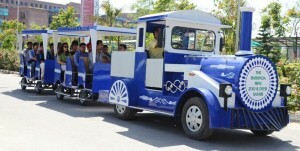 The novelty value of these battery operated trains always turns heads and ensures a steady stream of excited riders. Our electric trackless trains are a joy to ride in the comfortable driver’s cabin – fully equipped with interactive systems to enhance the experience of the riders. They are also incredibly easy to upkeep and maintain, being fitted with superior electric vehicle batteries and state of the art components. With our exceptional after sales service and continual service support, we guarantee minimum downtime and maximum fun! We make our electric trains to your branding requirements and specifications. We integrate hand crafted elements for a truly regal look, all while ensuring it fits the budget you have. We believe in providing affordable electric vehicle technology that doesn’t just cost less to begin with, but also ensures years of service with minimal running costs. We are the pioneers in the manufacturing of original and unique electric vehicle solutions in India. Contact us today to learn more about how we can make your own custom battery operated trackless train! We export around the world including Middle East, Europe and the Americas with our own offices in the UK and USA.